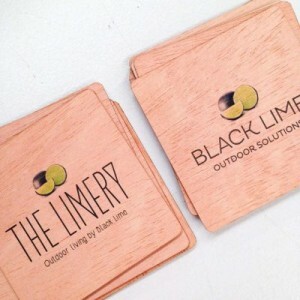 This Global Featured Business is “Print On Wood“, a business that takes environmental responsibility very seriously while producing amazing results. Tell us a little about Print on Wood and the team? 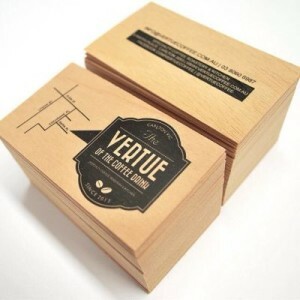 Print on Wood is an eco-friendly, sustainable, print friendly paper alternative that helps our customers to wow the world. 2,000 years of printing on paper – and now you can print on wood. Sliced from plantation trees and minimally processed, our wood is naturally beautiful with a low carbon footprint. Our product is a true paper alternative. 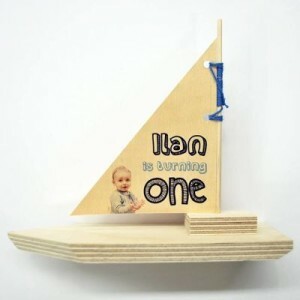 It’s able to be processed by almost any standard print production technique to achieve brilliant and surprising results. 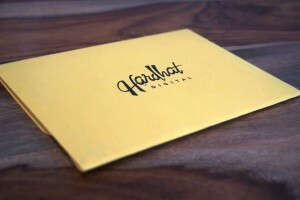 Predominantly our products are used to create business cards, invitations and marketing collateral. 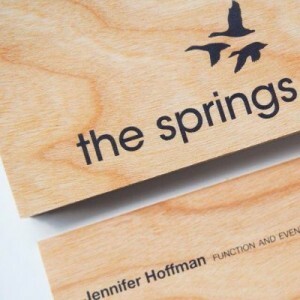 Founded in 2002 as the first Australian company to specialise in printing on wood as an alternative to paper, Print On Wood was born because of a perceived gap in the market for a beautiful, eco-friendly and dynamic product. 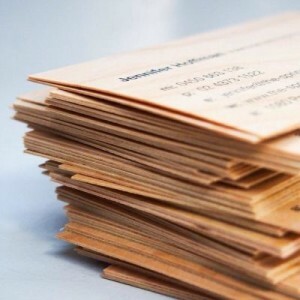 Three years on, we continue to be the pre-eminent supplier of printed wood products in Australia and also distribute a range of printable and laser engravable wood products to select printers, manufacturers, agencies and artists. The team comprises of Deon who founded the business, Leigh who manages production and a range of contract staff and trusted production suppliers who offer support and expertise on board on a job-by-job basis. Deon came across printable wood while overseas scouting new business opportunities. 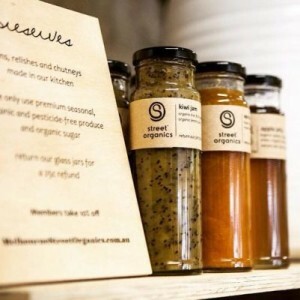 With a background in the not for profit sector and an interest in all things business development and problem solving, it became clear that establishing an ethical manufacturing business made a lot of sense. While the original plan was to outsource production to trusted suppliers, it quickly became clear that ultimate control over the output of the product and the ability to offer lightening fast turn around was paramount to the success of the business. While most of my time is spend thinking about work or actually working, the little time I get away from the business is mostly spent with my wife an 1.5 year old son. Utilising laser was always a part of the game-plan. Until I installed our machine, we sent laser work out to trusted suppliers to whom we supplied the product and they supplied cutting and etching services. I was latently looking at installing a laser cutter since I opened the business but was never convinced that the technology available matched our needs enough to invest. A few months ago I found out that there was a new Trotec camera registration system and after analysing the amount of work that we knocked back because we either couldn’t outsource small jobs in a sustainable manner or because we couldn’t test and prototype product easily, it made perfect sense to invest in our own machine. For me, the exciting part about laser is that we can continue to say “yes we can do that” before we have even tried to develop a product. In running a manufacturing tool that supports any level of detail and any production challenge we throw at it, we’re confident in being able to offer our customers whatever product they dream up. That’s such a core part of how we work – our customers rely on us to create the product they specify and we rely on them to continue to push the boundaries and dream up new ideas. In laser we’ve got a production partner who does everything except for think for itself – so we still need to do the thinking, but we know that when it comes to implementation we can get a second-to-none result every time. Our laser is a Trotec Speedy 400 with camera registration. The camera allows us to work across a range of printed mediums – we’re fortunate to do work for a number of printers and sign writers for who laser is opening doors and giving them new production capacity. Our primary focus outside of our own in-house work is the print industry for whom laser can be an extremely powerful tool. The print industry isn’t known to be fast adopters of new technology so our challenge is convincing printers that they can use laser to their benefit; and those who do use it have been blown away with the results. Primarily it’s business cards, invitations, event and marketing collateral. We’re mostly working on projects that would otherwise be printed on paper. 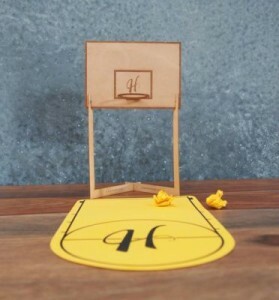 We love creative challenges and a couple of months ago, we were thrown an amazing challenge – to create an invitation that could be sent in the post and assemble into its own basketball court. 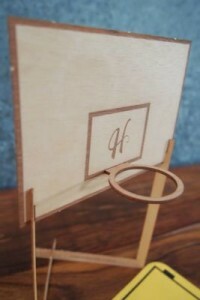 We opted for laser etching and cutting on 0.80mm thick mahogany wood and used a range of slots and tabs to allow the recipient to easily assemble their invitation to be a functional desktop basketball ring. Any client who allows us to push the boundaries and develop new concepts are the kinds of clients we love working with. We want to be pushed into creating product that’s new and innovative which can be done in so many ways. Clients who challenge us creatively are those that we love to work with. I think that laser is far from well-represented in my industry. Printers have all manner of misconceptions about laser including that it burns stock, that it’s a dangerous process or that it’s too expensive to be commercially viable. 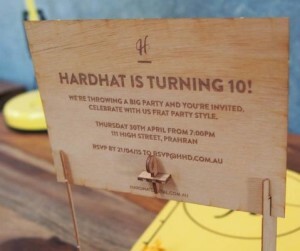 We want to see greater adoption of laser amongst bespoke printers and invitation makers. With decades of “bad name” behind laser cutting in print, it’s going to take a seriously push up-hill to convince printers that it’s technology they need to embrace. We’re thrilled to be pushing the product into markets who have traditionally rejected it and we hope others will join us in doing the same. Also, I think there might not be enough transparency amongst laser producers. The print industry has always hidden critical information about print production from their customers and each other for the fear that a little customer knowledge might be a force that drives prices down. I fundamentally disagree with that approach to manufacture – my customers are always welcome to come in and see how our processes work and develop and understanding of what has to be done to take their finished product from raw material to something beautiful. Our experience is the approach developsvalue in the product rather than driving the price down.